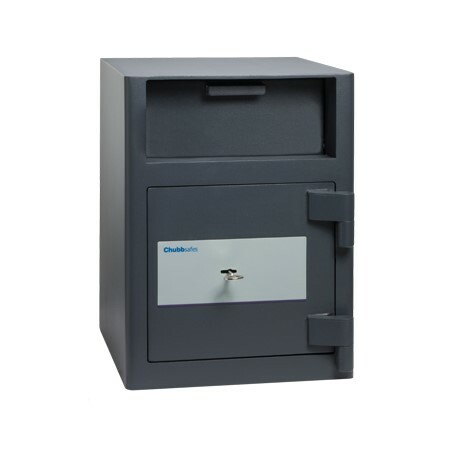 Commercial cash safes are an essential security measure in any cash handling environment. This can be a business, a retail outlet, entertainment centre, bar, pub or club. Protecting excess cash before it can be banked not only lowers your insurance premiums but prevents smash and grab theft from opportunists as well as organised crime. It is also a sad fact that much of company fraud or theft is carried out internally, with staff taking advantage of their position. A whopping 76% of fraudulent activity is internal and perpetrated by employees. With cash safes you can restrict the amount of cash that is vulnerable in this way, but also be 100% aware of which staff have access to the cash safe. At Thornhill Security, we have a range of commercial cash safes to suit all circumstances and all types of business. Most are free standing and come in a wide variety of sizes with different fire protection ratings and cash ratings. Alternatively view a small selection of the cash safes we offer below. We are happy to answer any of your questions, just give us a call on 0117 9674994. Additionally you may find our FAQ and blog pages useful when choosing the right security product for you.